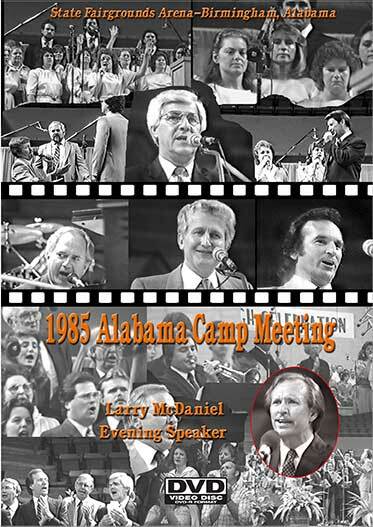 This is a 5 DVD-R set of all the evening services of the 1985 Alabama Camp Meeting. After deciding to abandon the old camp ground in Bessemer, the state officials decided to have the camp meeting at the State Fairgrounds. The night speaker was Larry McDaniel. Services are complete including singing and preaching.